Our executive level team collectively brings over 58 years of Engineering and Construction experience. This depth of knowledge is applied directly by our leaders with a hands-on approach to every project. Each individual brings a unique set of skills contributing to the overall success and growth of the firm. Bringing over 30 years of MEP Engineering experience to the firm; Pete has set high standards for quality that our customers recognize and continue to rely on. He ensures the company is constantly striving to develop superior solutions, push for innovation, and deliver quality work. As President, Pete directs the company’s development, partnerships, and growth strategies. He leads a design team for a variety of projects with a special emphasis on Mission Critical Facilities. 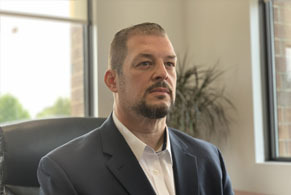 Jeremy brings over 21 years experience of Engineering, Construction and Business Management to the firm. His attention to detail and working knowledge of the industry provides a solid foundation for successful leadership. 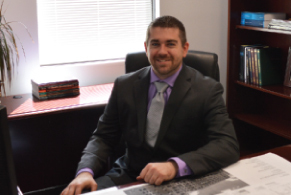 His primary focus is overseeing the company’s daily operations as well as new business development. 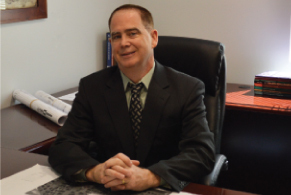 With 16 years of experience in the Architectural and Engineering Industries, Lawrence has utilized his extensive building design knowledge to create cost effective, process driven strategies focusing on property loss prevention and risk management program development. He leads a team of engineers and specialized field technicians to support the expanding needs of our partners nationwide.